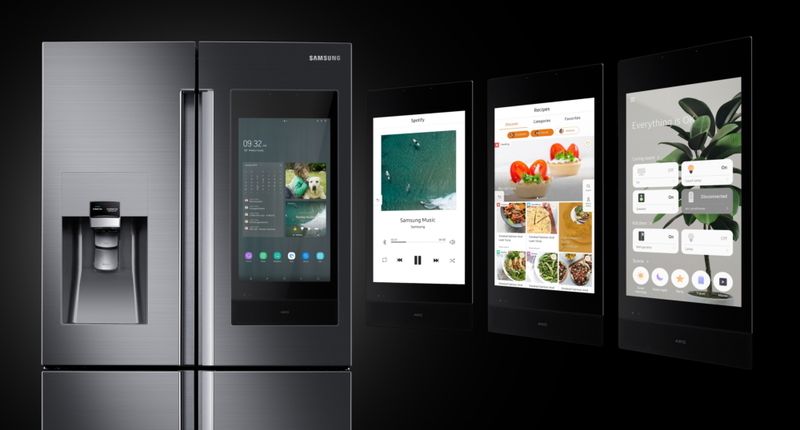 Samsung Electronics today unveiled the next generation of its award-winning Family Hub refrigerator, continuing to innovate and redefine the refrigerator category. Family Hub continues to set a new standard for connected living, bringing the family together in the kitchen while freeing users up to focus on what’s important to them. In 2019, with the new Family Board, a communal screen that family members can interact with in a personalized way, Family Hub helps foster true family connection, food management, and a connected home experience in today’s fast-paced modern world. Taking intelligence a step further, with the Family Hub’s seamless integration of SmartThings, owners can now see and control hundreds of Samsung and third party smart home devices right from the refrigerator screen and by voice with Bixby. The new Family Board screen acts as a digital bulletin board in which members can easily stick notes and photos and even doodle right on the screen. Users can now have a devoted screen to share photos, messages and memories on their fridge, and are able to customize their photos with different photo styles, add handwritten notes and stickers, and even change the background color to match their kitchen – all bringing the family closer to elevate the way they connect and share. The Family Hub displays a dynamic screen saver that can be used to display precious family moments, important information such as the weather, or even artwork. It can also be set to blend with the décor in the kitchen. A 2019 CES Innovation award Honoree in the Software and Mobile Apps product category, the new Family Hub will be featured at the International Consumer Electronics Show (CES) from January 8-11, 2019 at booth 15006 Central Hall at the LVCC. For more information about Samsung Home Appliances, please visit www.samsung.com.